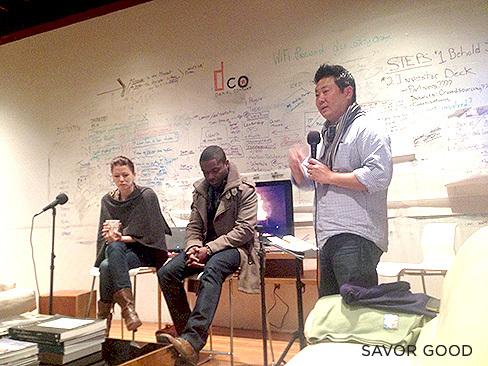 Savor Good recently had the honor to hear actors David and Jessica Oyelowo speak in Pasadena at incubator/co-work studio dcoEDGE’s Open Studio. The couple, originally from Britain, has been married for 15 years, have four children, and candidly shared about the challenges as well as profound joys they have experienced as Jesus Christ followers in the entertainment industry. Long before their acting careers took off, they committed to not be away from their family for more than two weeks at a time, even if keeping that rule meant turning down plum film roles. “Putting what’s right before what’s career-worthy has worked every single time,” said Jessica. If you are carrying a dead carcass of desperation, insecurity, fear, etc. you won’t get any breakthrough. Everyone has tough times. In our hard times, we allowed ourselves to grow in all kinds of ways. Our calling crystallized. Be excellent in your craft. Build character. These are the things that set you apart and draw people to you. Do not look for handouts. Seek to give rather than what you can get from others. You have to work hard and be excellent and not just say you are called to do something. Integrity is huge. Let your yes be yes and your no be no. Don’t make promises. Just be a person of your word. Have an attitude of gratitude. That’s how to enjoy each day. The way to be successful: be of service every day to the people that you meet who need the help that you can give. Character takes time to build. If your talent takes you where your character cannot keep you, you will fall. 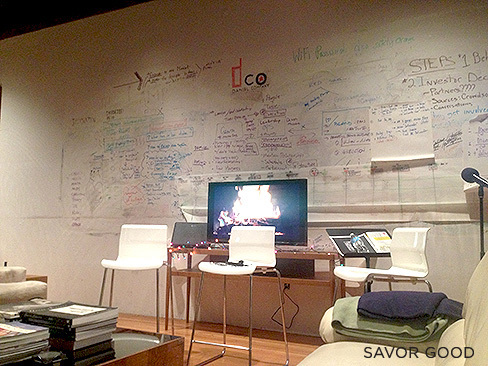 dCO Edge regularly hosts Open Studio evenings with inspiring speakers free of charge and is located at 1402 Prime Court, Pasadena, Calif. 91104. Connect with dCO Edge via Twitter, email at team@dcoedge.com, or by calling 626.600.2622.